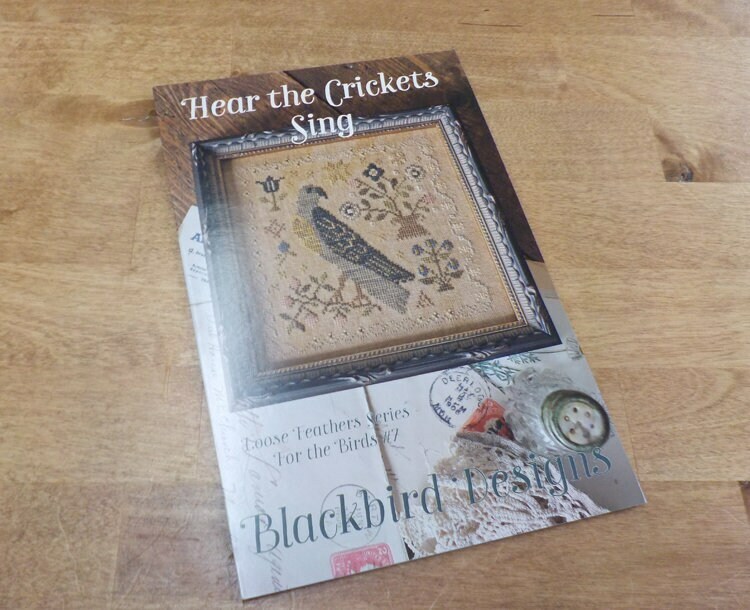 Hear the Crickets Sing, Loose Feathers Series For the Birds #7, by Blackbird Designs...cross-stitch design. Hear the Crickets Sing finishes at 5 x 5 inches. Pattern is stitched on 36 count linen.